Queens;and’s Dunk Island is in line for a complete rebuild. Purchase contracts have been signed by an Australian property developer to restore Dunk Island as a premier destination along the Great Barrier Reef coastline via a brand new technology-driven eco-resort. Property Bay Pty Ltd, headed by co-founder Tim Sommers, has unveiled the Dunk Island Revitalisation Plan. Its centrepiece will be a ‘carbon positive’, five-star, low-rise 160-room resort with multiple restaurants, swimming pools, a day spa and many other modern amenities including a championship golf course and conference centre. In addition, the island’s real estate offering will include luxury villas, up to 500 beachfront eco-suites and apartments featuring solar panels and water tanks. The existing airstrip will be extended to cater to direct flights from Cairns and Townsville as well as Brisbane and Sydney. The island will also feature a 730-hectare environmental protection precinct – of which three-quarters will be protected in perpetuity. Beginning with a US$110 million (AU$155m) capital raising – partly funded through crypto-currencies – the island’s new developers are aiming to clear the island and begin construction in the first quarter of 2019. According to the developers, Dunk Island will be highly technologically driven and eco-friendly upon its reopening, operating on its own green-themed economy. Plans call for a zero-emission property with integrated water-sensitive management plan where rooftop water can be harvested as well as drawn from constructed wetlands and grassed swales, with buffers to protect nearby marine zones. 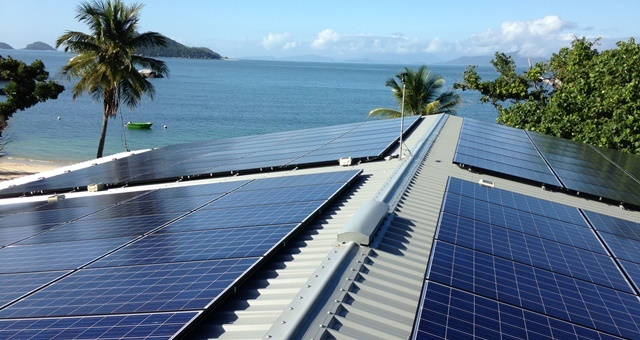 Solar panels will feature on every roof as the island adopts a ‘carbon positive’ footprint. Among the technology available will be self-driving buggies to transport guests around. Artificial intelligence will also feature heavily via a number of fully automated and self-service systems. A Blockchain-managed “utility token model” will operate as the island’s economy, with guests exchanging tokens for goods and services. Good “green” behaviour such as recycling, turning off lights and reusing linens will see guests rewarded for their positive energy footprint. 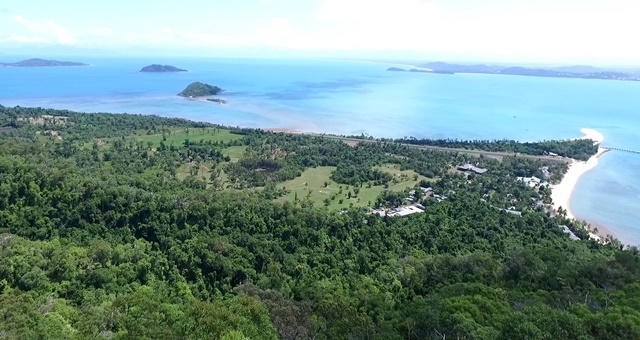 “Dunk Island, and surrounding palm-fringed Mission Beach is an incredibly idyllic area, where rainforest meets reef – with this project we intend to bring significant tourism, and in turn jobs, to the local community,” Sommers said. Dunk Island is located around 4kms off the Queensland coast near Mission Beach and around two hours’ drive south of Cairns.